Closing a group of windows together in HP desktop? How can I close a group of windows together in my HP desktop? Is there any such option? Please explain. How to Recover notes written in Sticky Notes after Closing? 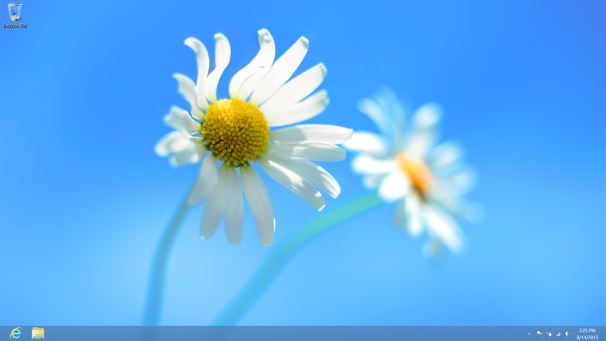 Customizing desktop home screen in Windows 7 Ultimate? What has to be done for retrieving the notes not saved while closing Sticky Notes program on Windows 7? Re: Closing a group of windows together in HP desktop? I’m writing this on an Asus Zenbook UX31A at a Peet’s Coffee on Stevens Creek Boulevard in the heart of Silicon Valley. In an adjacent table a man and woman have papers spread out on a table, talking in hushed tones, with the word “Apple” occasionally audible. Installed on the Zenbook is a freshly minted copy of Windows 8 RTM. The official launch date for Windows 8 remains October 26, but the RTM (“release to manufacturing”) is available to Microsoft Technet and MSDN subscribers today. PCWorld has covered the major features in articles on the release preview and consumer preview versions. Rather than dive once more into the myriad of features of Windows 8, I thought it would be more interesting spending a day with Windows 8 doing actual work. The goal here is to dive into the deep end of the pool of Microsoft’s vision of the future of PC computing. Not only is this laptop running the RTM, but I also installed the preview release of Microsoft Office 15. This is not a detailed review; that’s impossible in a few hours. But while PCWorld will be serving up tutorials on Windows 8 installation and upgrading, I’d like to touch briefly on installation. Installing Windows 8 on this Zenbook is actually my second attempt. The first attempt on different hardware failed due to driver issues with Wi-Fi. Installing Windows 8 on the Zenbook went smoothly, but only after figuring out that several of the disk partitions on the Zenbook were GPT-style partitions. That seemed a bit odd for a modern Microsoft operating system, but after nuking all the partitions and reformatting, the rest of the installation went smoothly. When you first boot into Windows 8, you’re asked if you want to use your Microsoft login (formerly your Windows Live login). If you say yes, you are dropped into the full-on Windows 8 experience, including full integration with Microsoft’s SkyDrive cloud storage service, social networking services, and simple access to the Microsoft Store. You can opt out of this, but then you end up with an enhanced (or crippled, depending on your point of view) Windows 7 experience. After logging into Windows 8 with my Microsoft ID, my phone buzzed with an SMS confirmation message. I also received a similar message via email. Both asked me to give permission for the new system to access my SkyDrive folders. That little bit of extra security may help assuage some security fears. In the increasingly cloud-driven technology world, the line between security and convenience is becoming increasingly blurred. Using the touchpad in this mode is a pretty terrible experience. The touchpad lacked any advanced features—no multitouch gestures or palm detection. I hit up the Asus website, where I found actual 64-bit Windows 8 drivers for the Elan touchpad. After that, usability went up considerably, though it's still not perfect. Palm detection seems to go in and out. Multitouch gestures work great, but edge detection works only some of the time. One key problem for me in this installation is that Cisco’s AnyConnect 2.5 VPN client software wouldn’t connect to PCWorld’s corporate VPN. Some Internet searches uncovered possible solutions, but none seemed to work. So while I can write on the Windows 8 system, I’ll have to post it from my desktop system. Since I’m saving this to my SkyDrive, grabbing the file from another system is simple. 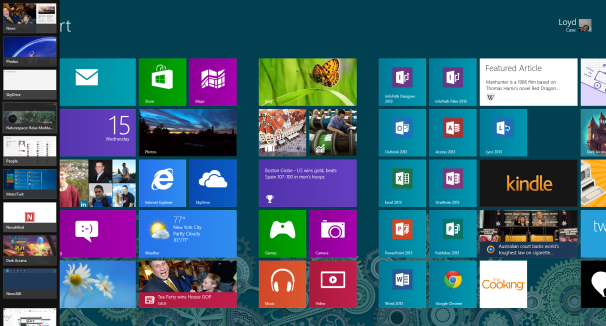 After installing software, the Windows 8 user interface screen became cluttered with tiles. Tile sizes seem to vary and, while there may be some logic to the organization, it's not always esthetically pleasing. 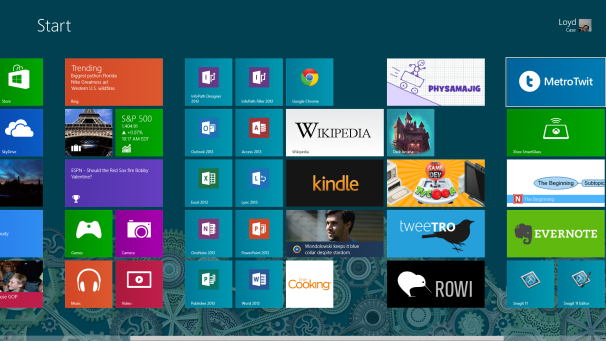 Windows 8 start screen, after installing a bunch of stuff. While the touchpad worked reasonably well after installing the new drivers, I carry around a Logitech Anywhere MX mouse for most normal use; I've never been much of a fan of touchpads. Windows 8 recognized the Logitech Unifying receiver after I inserted it into the USB port, and I was mousing away in short order. It didn’t take long to realize how seriously improved the responsiveness of the mouse has become. Charms, sidebars, and Windows 8 UI features popped up with no lag. Clicking on items offered similar immediacy. In fact, the mouse experience is so improved that the user interface formerly known as the Metro UI didn't get in the way nearly as much. You're never more than a couple of clicks away from the desktop, if you prefer that, but the desktop seems almost extraneous now. More often than not, you can get to any important running app just by moving your mouse to the corners. In fact, that's the single tutorial tip you're given during the Windows setup process: Move your mouse to the corners. Note the app sidebar to the left of the start screen. Spinning the mouse wheel lets you scroll smoothly through all tiled screens, whether it's the main UI, the Microsoft Store, or other applications using the new interface style. That sidebar you see above is easy to bring up in the main Windows 8 UI. What I thought was equally useful was making it available in the Windows desktop. Given how Windows 8 uses screen real estate, having a monitor with higher pixel density is a good thing. The laptop I'm using includes a 1080p IPS panel. Your information is insufficient and can`t determine which way to explain. Click on the X at the extreme right top corner of the screen and you will receive an option "Close all tabs". Click on that to close all programs in one go. Why windows XP professional explorer cannot group the files and folders by its size?